So if you have been keeping up with us you'll know one of the key trends we have tapped for this season is premium streetwear. This comfy yet stylish trend has seen waves on the runway and was birthed from the streets. One of the rare trends that trickled up to designers as opposed to being presented to us by them. 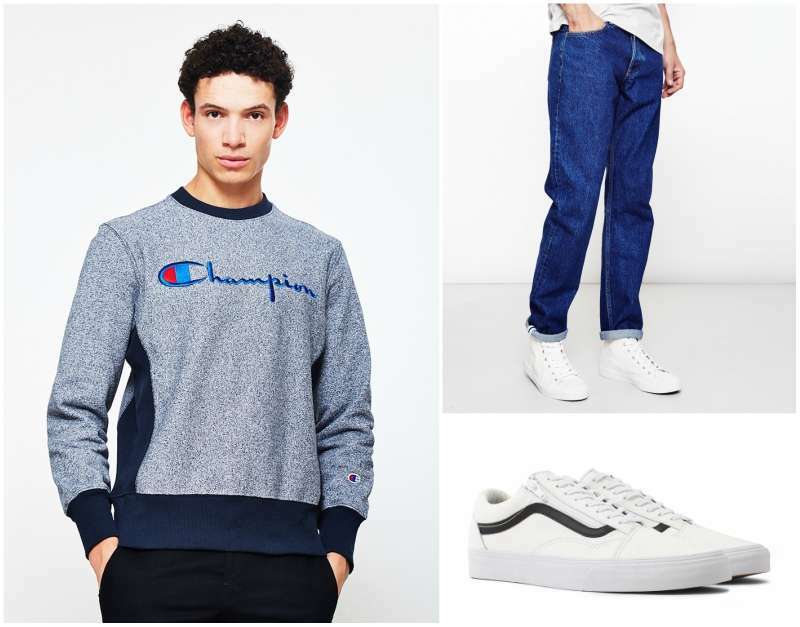 Champion (one of our favourite brands of the season) has just dropped some of their key autumn winter pieces. The collection consists of a mix of sweats and T-shirts in 100% cotton. We take an in-depth look at the key pieces, giving you the need to know and details on how to style them. The T-shirts come in a range of marl blend colours that are surprisingly light for the autumn winter season. 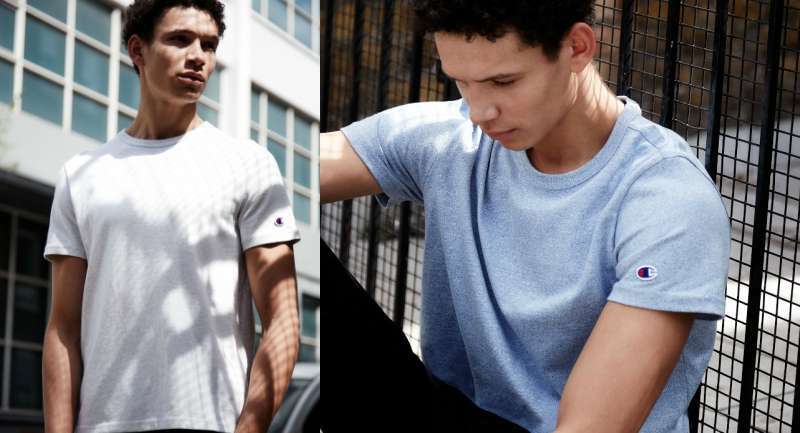 The light blue, grey and dark blue T-shirts have accents of features that run throughout the collection. The T-shirts feature the traditional Champion logo embossed on the left sleeve. A heavier sweat T-shirt than your average these are perfect for the colder weather ahead. For this season the classic weave reverse sweater gets an autumn winter change. The 90% cotton texture is soft but heavy duty making it perfect for layering this season. The marl-blue colourway features the Champion logo across the chest and solid blue inserts on the side panels. So we've shown you what is new, now you want to know how to style it. Keeping to the sports luxe look of the season we'll take you through a few outfit options for key pieces. 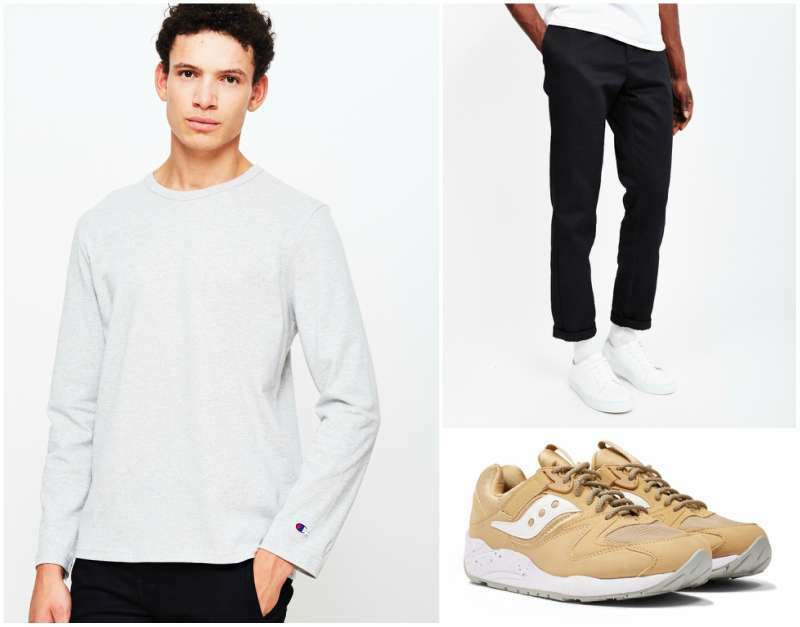 This season is all about understated cool, pair your sweatshirts with jeans, and if you need a smarter option try chinos. 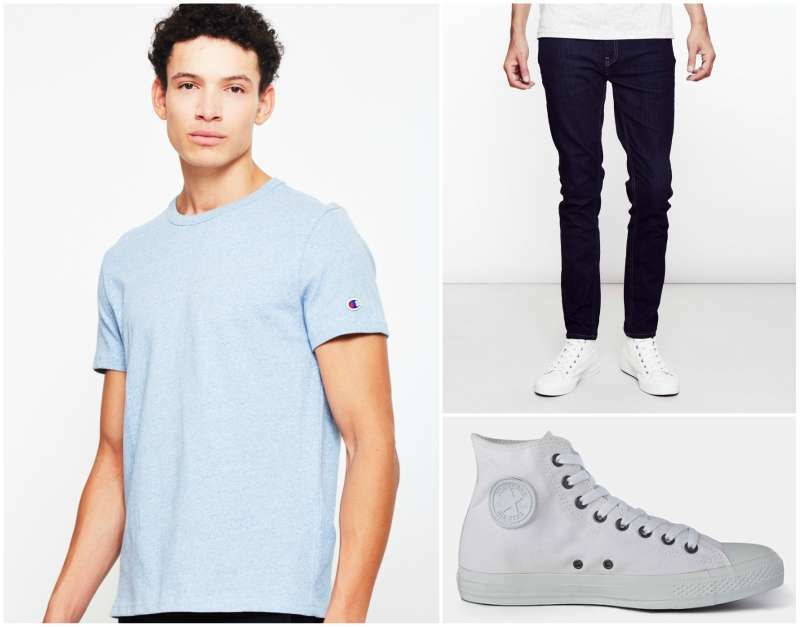 Fresh white trainers will keep the look airy and bright. Finish your outfit off with a statement jacket or overcoat. Now before you say light colours are for the summer, I'm going to shoot you right down and say they aren't. Try wearing this light blue top with some dark indigo denim to brighten up an autumn day. To finish put on a classic black overcoat to pull the look together. Keep an eye out on the new in section we have new product streaming in as the season progresses. 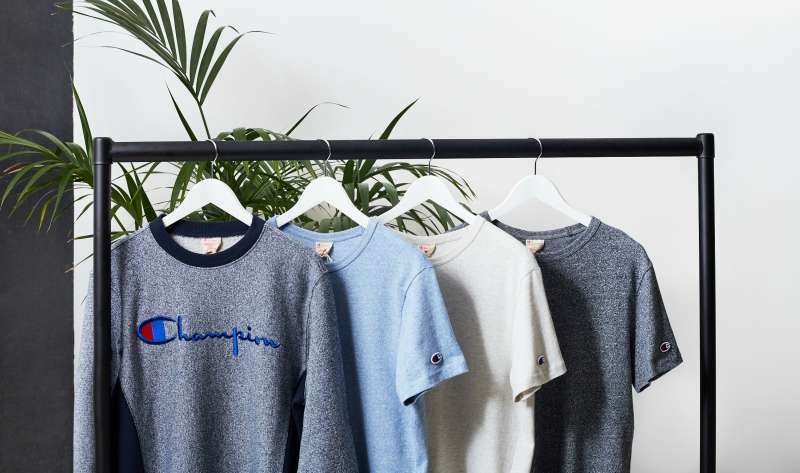 Champion is one of the streetwear brands we have alongside many, if you want to nail the premium streetwear look this season, stick with us we have got you covered.